There were hundreds of smiling faces inside the Steve Kerr Memorial Complex at the 34th edition of the Bruce Williams Memorial Wallace Fun Days Jamboree from January 10th - 13th. Like any jamboree or tournament, it featured a team of dedicated volunteers to assist in running raffles, donations and meal scheduling. Many current executive members and event organizers are children of those who helped to create the event. The Jamboree was run over the course of four days and featured 32 recreational teams. The hosts provided meals for players and coaches and fundraised to keep registration costs down. There were some logistical challenges - some teams had to share dressing rooms based on game times and availability, which is not uncommon for an event of this size. A jamboree is designed to engage players in a fun environment and is the coming together of several players who are then placed into teams. Games may or may not be competitive and the emphasis is on fun and fair play. It differs from a tournament, where three or more teams compete with an inter-locking schedule leading to an eventual winner. Teams were divided based on age and skill level, creating three groups from Initiation to Tyke. From there, they were subdivided into groups of four and played within their group. The tiering of players with similar ability is important in providing an enjoyable experience. Each team played three games and each participant received a meal and trophy at the conclusion of their third game. As an added touch the local Tim Hortons was on site serving hot drinks in exchange for donations. A team of volunteers assembled the boards and dividers at the beginning of the day and after floods. 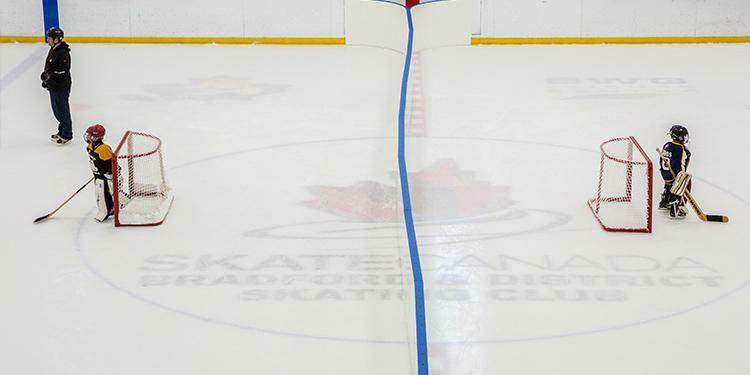 The ice surface was divided in half by the boards which allowed for two games and four participating teams to play at the same time. The event also featured a professional announcer who introduced the teams playing on each ice surface, and acknowledged the local businesses and community groups that helped support the jamboree. “We expected some minor glitches but in reality the entire four days went phenomenally well! 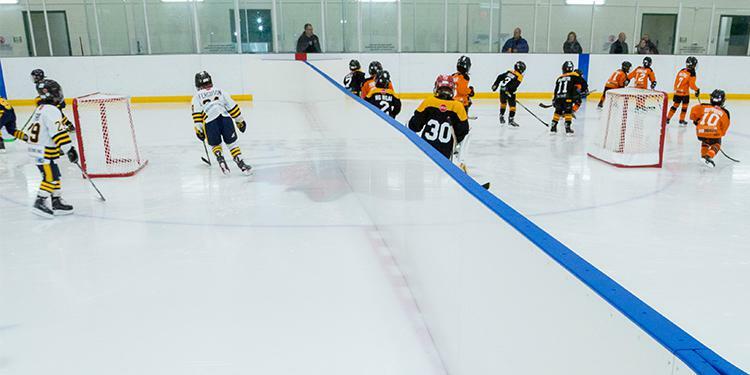 We had so many compliments on how smooth and well organized it all ran, how perfect the facility was with its large dressing rooms and large ice surface, literally everything lined up and our executive was more than happy with results of how the jamboree went. 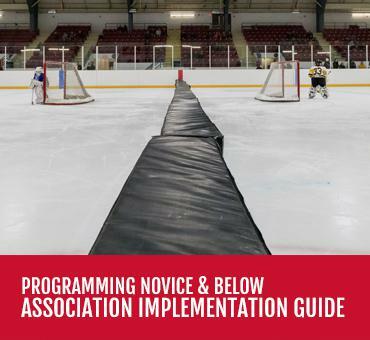 We were exhausted because of the sheer magnitude of the size of jamboree this is, but it was great in every way,” said Laura Cressman, the centre contact at Wallace Minor Hockey and one of the organizers. One of the largest jamborees in the area for players below Novice is already planning to celebrate its 35th year next season.